It's true, we're total suckers for adorable love stories! And my oh my, does this sweet couple have one! Once upon a time, when they were dating, Erin & Jason went to the dog beach. When Erin got home, she realized her beloved grandmothers ring (and the symbol of her amazing grandparents love), which she had been wearing, was missing. Enter Jason...aka the hero! After searching the beach on his own to no avail, he hired a self proclaimed treasure hunter. And as fate would have it, with one swipe of the metal detector, the ring was found! Jason returned the ring to Erin & at that moment, Erin knew they would spend the rest of their lives together, happily ever after! 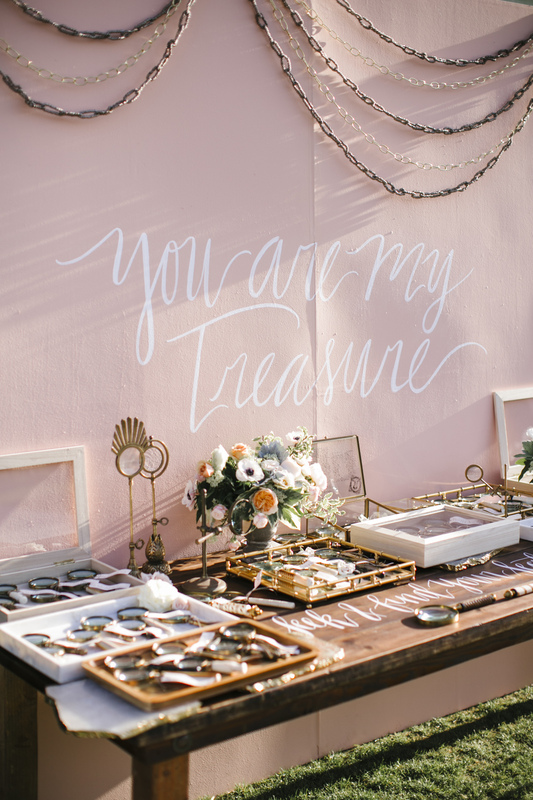 With this adorable story in mind, the amazing team at Amorology dreamed up the perfect concept based on a lovely verse "Where your treasure is, there your heart will be also." We used this super fun verse as a starting point & just had a blast with it! 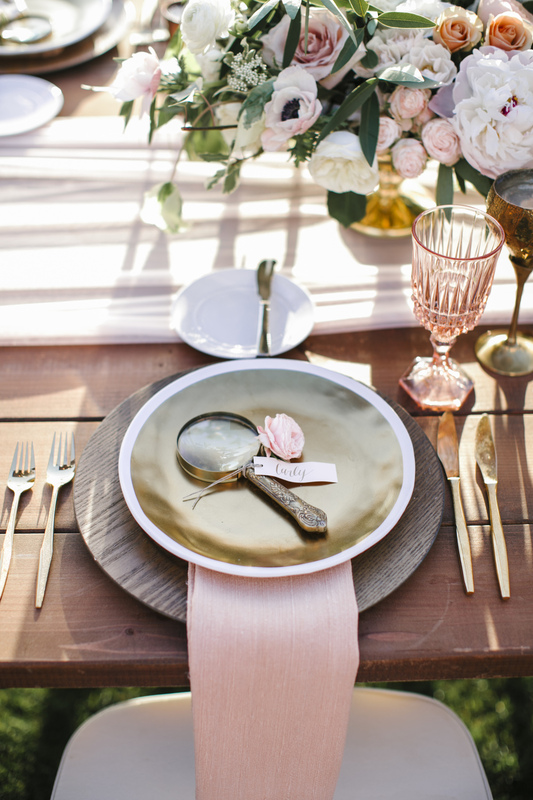 We incorporated magnifying glasses with romantic florals to make this uber darling suite come to life! 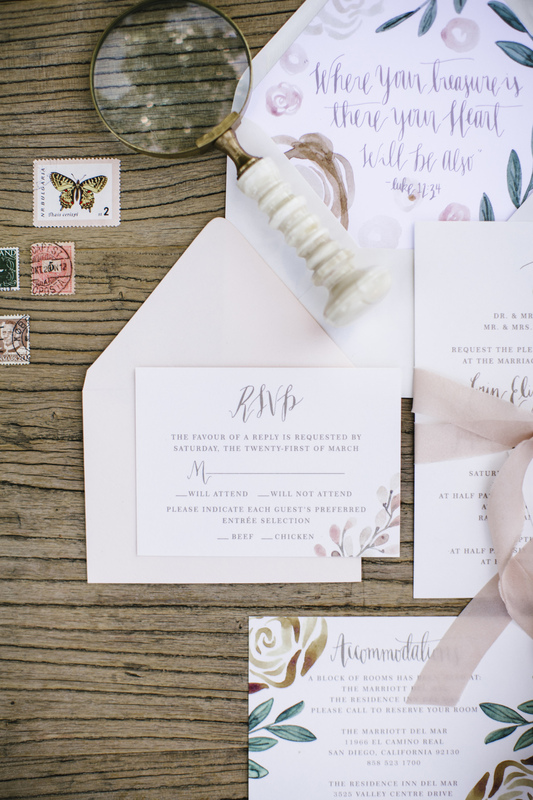 And the wedding day itself was full of abundant treasures! 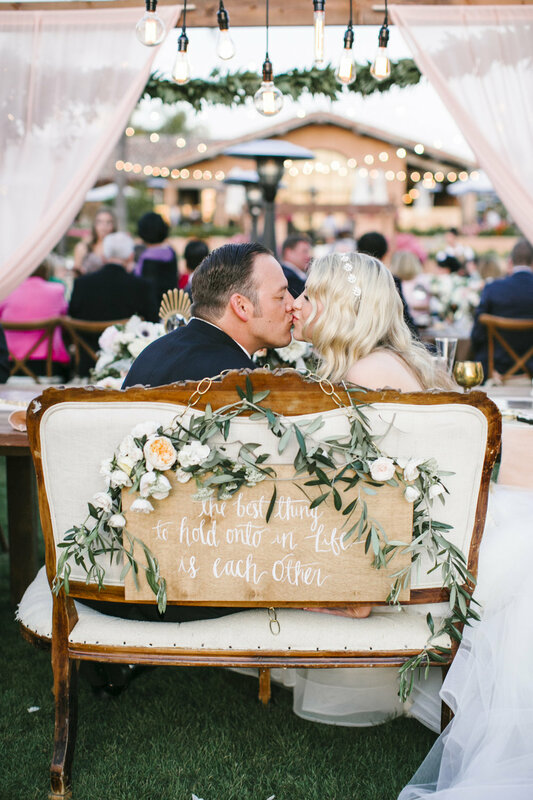 From a hand-painted globe, to a huge hand-lettered backdrop, lots of fun signage & die cut menus there were too many fun goodies to count! 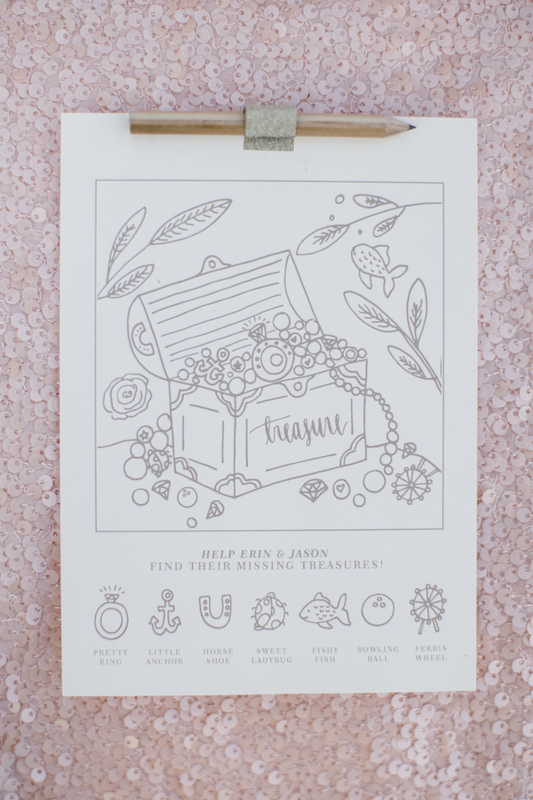 Oh & let's not forget the hidden treasure coloring pages for the kiddos full of symbols special to Erin & Jason!